When your company has an employee working for you that is doing the work in the Netherlands, you are a Dutch employer. In the event you have no office or registration in the Netherlands, you are a non resident employer. What does that imply? Tax treaties determine where a taxable event is indeed taxed. All tax treaties are clear on the subject, work done in a country is taxed in that country. That same article has also an exception, the so called 183 day rule. This rule nearly never applies and for this article it is not relevant as well. The employee that is employed in this article, is a resident of the Netherlands. The 183 day rule exception is for an employee that is not a resident and an employee that also has no desire to be taxed in the Netherlands. 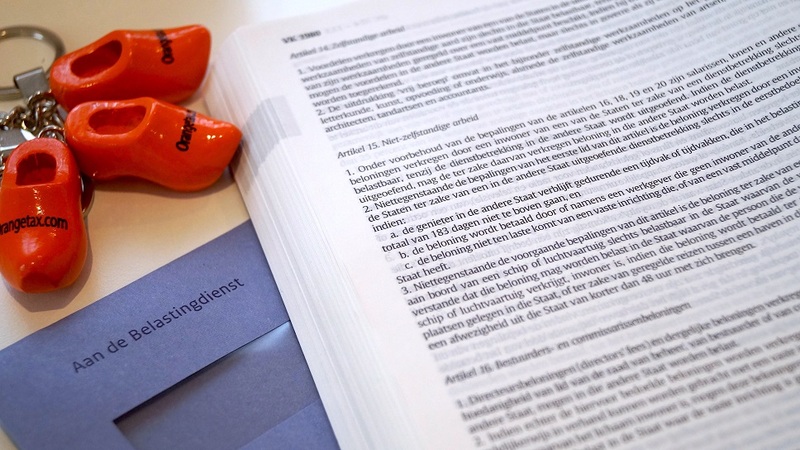 The tax treaty makes that employment done in the Netherlands is taxed in the Netherlands. Non resident employer – when does this apply? You are a non-resident employer when you have no office or registration in the Netherlands, but you do have an employee working for you in the Netherlands. the company can be registered as non-resident employer. Non resident employer – What employees qualify? Employees such as the software programmer, he or she can do their work anywhere, why not in the country that is among the top of the world if it is about internet connections. Or you employ a Dutch software programmer, to offer your US client an overnight service. We do the work, while you are asleep. The most common employee is the sales representative. He or she leaves the house in the morning to sell your product. Recently Brexit employees are among our clients as well. Employees with no British passport who are uncertain about the future and do not want to be searching for housing the moment all other non United Kingdom nationals jump ship to the Netherlands. Can you skip registration and simply pay your home country tax over the salary of the Dutch resident employee? This is a common situation for especially US companies that are a bit hesitant to enter into a foreign system. Of course it is incorrect, but the pain is with the Dutch employee. Because the Dutch employee is not earning any income for the Dutch system. The foreign income is not shown. The employee cannot get a mortgage to purchase a home, is not socially insured correctly. Especially the mortgage part, that is how we pay for a house in the Netherlands, will make the employee demand you to comply, otherwise they simply cannot continue to work for you. What is the impact for the employee, working for a non resident employer? There is no impact. Because the employer is registered as employer in the Netherlands, but without a Dutch address, does not make a difference in the tax rate or social premiums to be paid. So the employee is socially insured like any other employee, and the employee pays the correct and normal amount of income tax. We can help the foreign company setting up a payroll in the Netherlands without having a presence in the Netherlands. We have over a decade in experience working with non-Dutch companies and that is also our trade. Based on that experience we know how to communicated with you in a sense that you do not feel this Dutch employee or Dutch employees being a burden on you. At the same time we are able to feed your accounting department with the bookkeeping details you need to show the Dutch employment costs in your overall result. Our payroll department works on a three day turn around method which implies that if you provide us with the details, three working days later you have the required information to pay the employee. Huge VAT assessment – what to do?